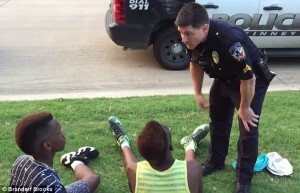 Officer Eric Casebolt and arrested black teens. Only a few weeks ago, we released a tentative sigh of collective relief when Baltimore’s State Attorney Marilyn J. Mosby announced the indictment of all six police officers implicated in the death of Freddie Gray. After months of chanting “We Can’t Breath,” it seemed as though finally we could open up our lungs and begin to expel the fear and anger from our guts. When the news broke, I cautiously hoped that justice would be served in the court of law and the court of public opinion. History isn’t on our side in that regard, but you know what they say: Hope springs eternal. The problem with hope, though, is that hope can make you lose sight of the stark truth while you’re standing there, palms outstretched, waiting to be filled up with the good you want to believe still exists in the world. The stark truth is that the indictment of six officers in Baltimore is just that — the indictment of six officers in Baltimore. That is all. Yes, the indictments are the correct course of action but they aren’t far reaching enough to transform our current reality of everyday institutionalized racism, which stretches from coast to coast, embedded into every facet of this country, especially policing. As of now, today, in this very moment, the system in its entirely has not yet been indicted by anyone who can make a deep difference. Certainly, the system has been accused very publicly, but so what? Our legal process mandates that you can be accused but that you remain innocent until proven guilty. We keep accusing the institution of policing and the culture of racism, but we never get far enough to sway the masses to take a closer look at the system. Thus the cycle continues and the output is always the same — a black person detained on questionable grounds, arrested without cause or, worst case yet all too common scenario, shot dead by a police officer. Newspapers run front page stories. Many try to justify the killing by digging up whatever dirt on the victim they can find. Or fabricate. We protest. Some riot. True change doesn’t come. Then the cycle begins again. People are familiar with how the system works, even if they won’t admit it. Maybe this is why a white woman in McKinney, Texas didn’t think twice about hurling racial slurs and then calling in the cops to terrorize a group of black kids hanging out at a community pool in a predominantly white neighborhood. Maybe this is whyon the video you can see white adults milling about watching as the situation escalates and black children are forcibly thrown face first onto the ground, scared and crying out, begging not to be hurt by the white officers who are violently restraining them for no apparent reason. Maybe this is why none of the white adults come to the aid of the black children. You can also see the officer pull his gun out even though all the kids were unarmed. He didn’t need to pull his gun out, and yet didn’t even hesitate. This is absolutely why the white teenager filming the video, right in front of the officer, said, “Everyone who was getting put on the ground was black, Mexican, Arabic,” he said. “[The cop] didn’t even look at me. It was kind of like I was invisible.” That’s not a coincidence. Watch the video — you can see the officer actively targeting and threatening the black youth while ignoring the presence of the white people. The offending officer’s name is Eric Casebolt. He has been placed on administrative leave, which means he still receives a salary. In a just world, he would be stripped of his badge, prosecuted and imprisoned for his racist, dangerous behavior. We don’t live in a just world. So don’t hold your breath, assuming you’ve got any breath left to hold. I feel like I’m on my last gasp. Guard your hope for now. Don’t dole it out too freely even when things are looking up. Don’t get complacent. Be vigilant. Stay woke. No justice no peace. If you’re white, be a witness, protest hard and get arrested. If you’re black, try to be safe and stay alive. And let’s all force the change we need. 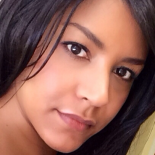 This entry was posted on June 22, 2015 by janeewoods and tagged Justice Matters, Race Matters, Scenarios USA.